There are plenty of awesome SSDs available on the market these days. Not many of them allow you to control them using your smartphone. SoSecure is different. 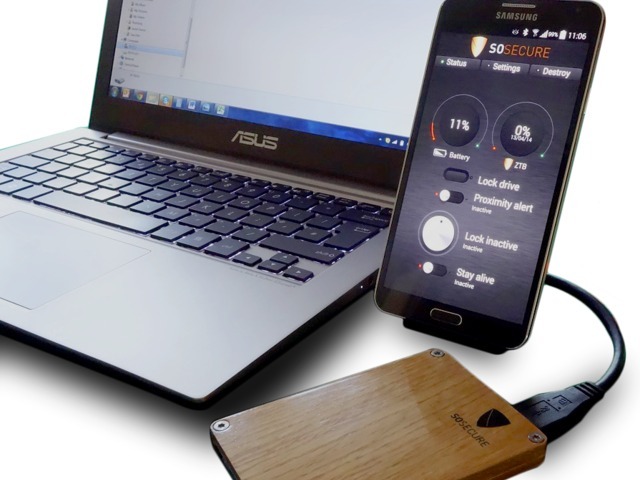 It is a 256-bit AES encrypted solid state hard drive with iOS and Android apps to give you control over your data. The device is shock resistant and easy to use. You can backup and destroy your data quickly. Data locking is also available. The SoSecure drive has USB 3.0 and SATAII interfaces. That means you will be able to use it as an external drive or inside the computer. Backing up your data is pretty easy too. Just put your SoSecure drive on the ZTB Pod to have your data backed up in an encrypted mode to another drive. You can see the real-time progress on your app or the lights on your pod. The companion app for this solid state drive lets you manage your drive. You can see its battery level, last backup, and backup progress. Use the app to lock your drive instantly, make your phone vibrate when your hard drive is too far way from your phone, or lock your device after a certain period of inactivity. Like what you see here? You can get this product on Kickstarter. 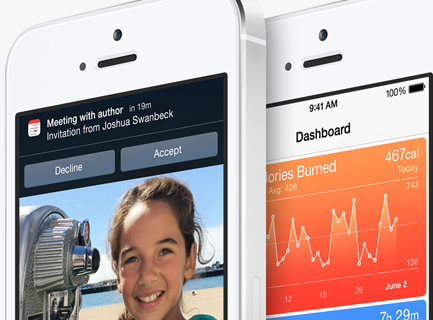 iOS 8 Time-Lapse Mode, iPhone 6 with NFC, Wireless Charging?